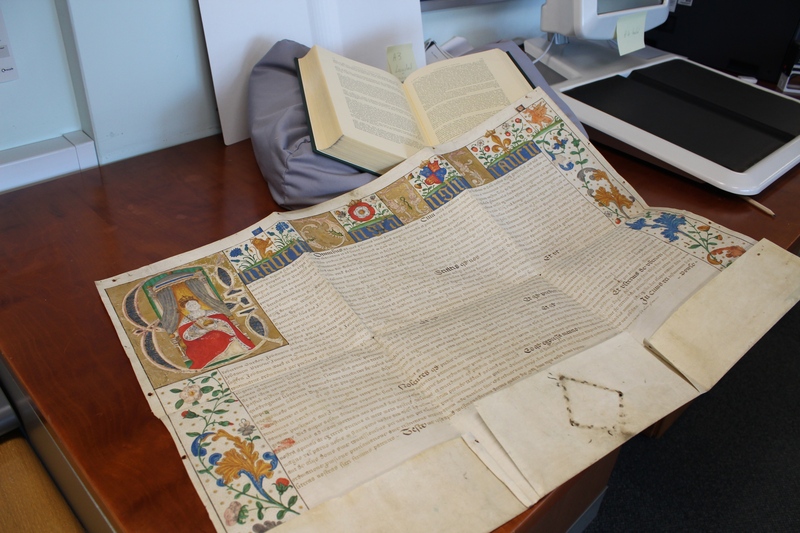 The documents produced by the workings of the medieval royal courts may seem like a mysterious and inaccessible subject for all but the most committed scholar of history, let alone a local historian or genealogist. However, there is much which can be of use to both of these disciplines, particularly as they reach back far beyond the limits of many of the more traditional documentary sources such as the Parish and Electoral Registers. Historically Letters Patent were used by the monarch (or proxies acting for the monarch) for a variety of tasks, including bestowing titles, making grants of land directly from the monarch, giving licences to alienate (sell) land and granting other rights to individuals or corporations. These documents present a number of challenges, not least the style of handwriting and the fact that they are often written in medieval Latin. If the idea of attempting to read a medieval Latin document is striking fear into you, worry not for we have good news. 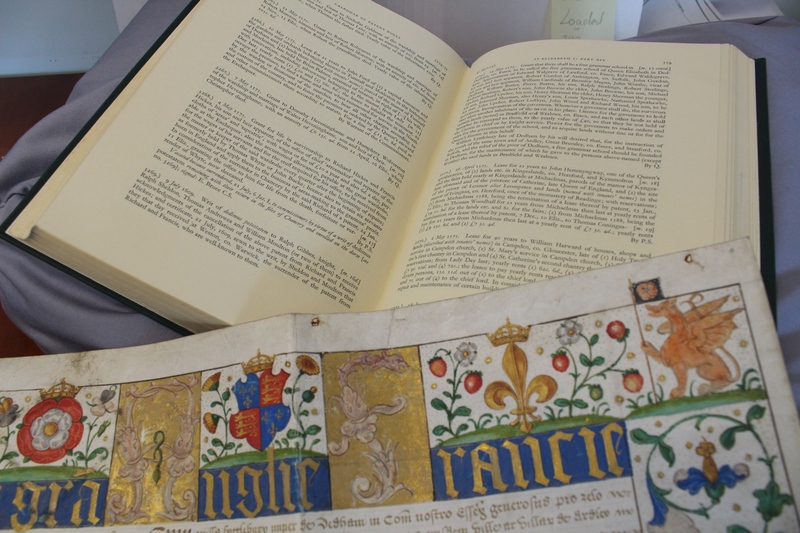 The Letters Patent are transcribed, translated and indexed in the Public Record Office (PRO) Calendars, which can be found in the ERO Library in the Searchroom. 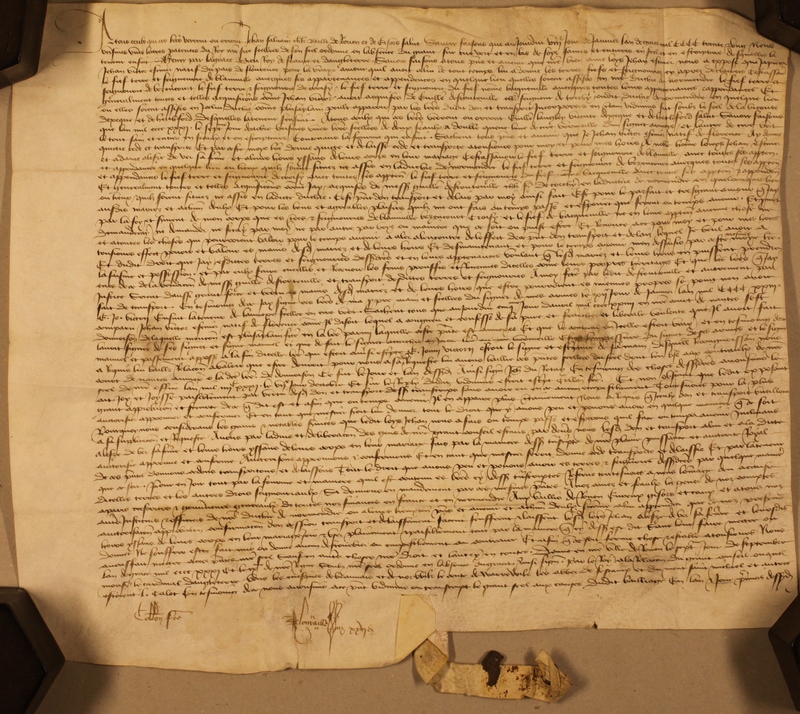 D/DVz 2: A Crown Grant by Letters Patent dated 14 December 1384, to John de Burghcher of the right of “Free Warren” (the right to hunt game) on his demesne lands. 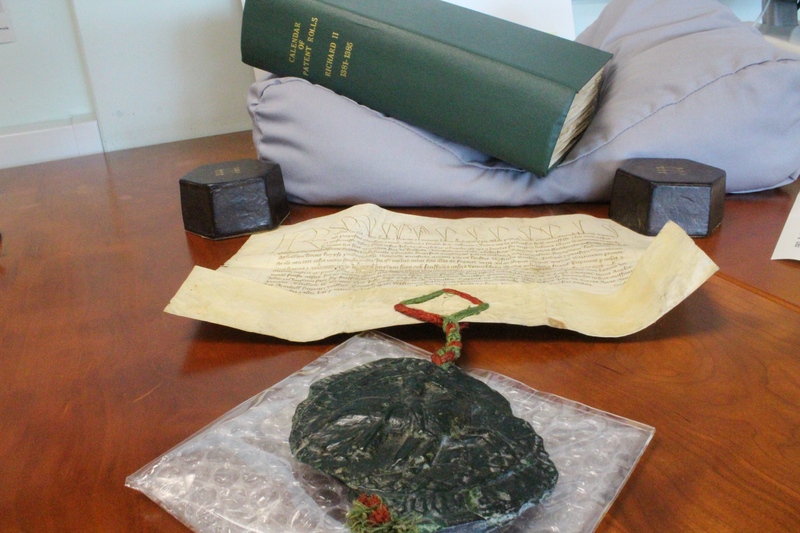 It is shown alongside the corresponding calendar of patent rolls and with its Great Seal still attached. D/DVz 2: Here you can see the precurser to the heavy illumination which will appear on later Letters Patent. The calendars only record those Letters Patent enrolled in England; however, many other Patents were produced in English foreign territories and a vast number in northern France, many dated at Rouen and authorised by the Castilian of the Castle whilst it was still an English possession. 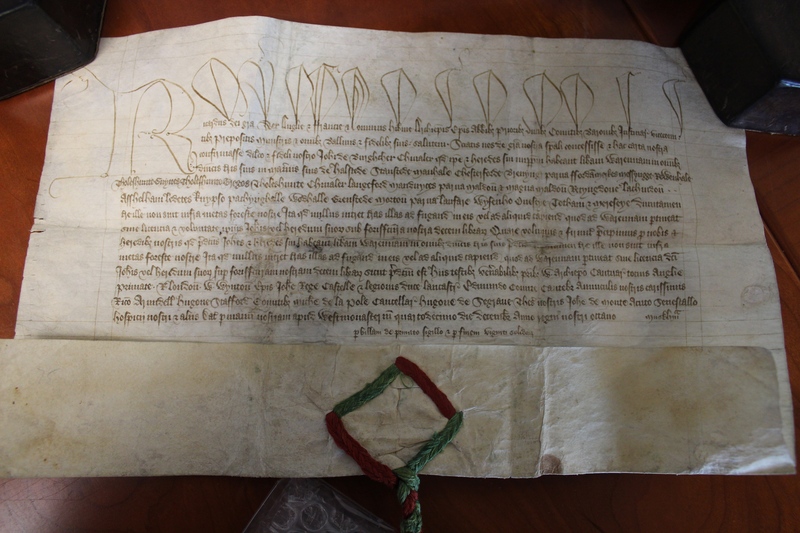 D/DP T1/1848: This is a Patent confirming a grant of land and dated at Rouen on 7 September 1481. It is written entirely in medieval French and following the French style. This will unfortunately not appear in the PRO calendars. In the course of your research you may find the calendars useful whilst researching land ownership (particularly the history and grant of manorial land), the origin of titles or even the history of companies. 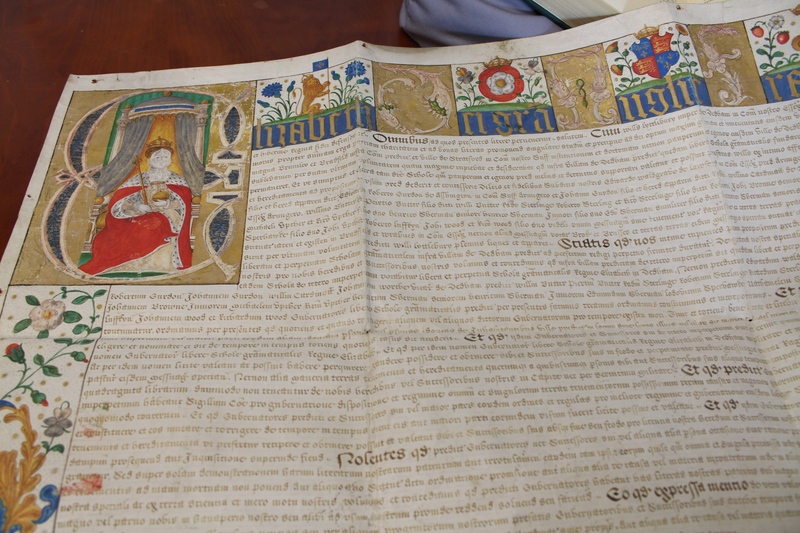 They are particularly useful whilst looking at the many original Letters Patent held in our collection as they include a full transcription of the often difficult to read documents. For example, one of our original Letters Patent (D/Q 23/1/1) dated the 14th May 1575 grants incorporation and lands to create a free Grammar School in Dedham (later attended by the landscape painter John Constable), it is calendared as number 3271 in the Patent Rolls volume running 1572-1575. A simillar set of Letters also exists for King Edward the Sixth Grammar School in Chelmsford (D/DP O28). D/Q 23/1/1: Letters Patent dated the 14th May 1575 granting the incorporation of a “free and perpetual grammar school” at Dedham together with the corresponding pages of the calendar. In this image you can see where the Great Seal would have been attached, though here it is sadly missing. D/Q 23/1/1: More recent Letters Patent are often highly illuminated and many will be written in Latin as this one is, making the calendars all the more useful. D/Q 23/1/1: The calendars provide a complete transcription and normally a translation of the latin. If you would like to try your hand at using the PRO Calendars or Letters Patent then just ask a member of staff in the Searchroom.